The Chrysler B and RB engines are a series of big-block V8 gasoline engines introduced in 1958. 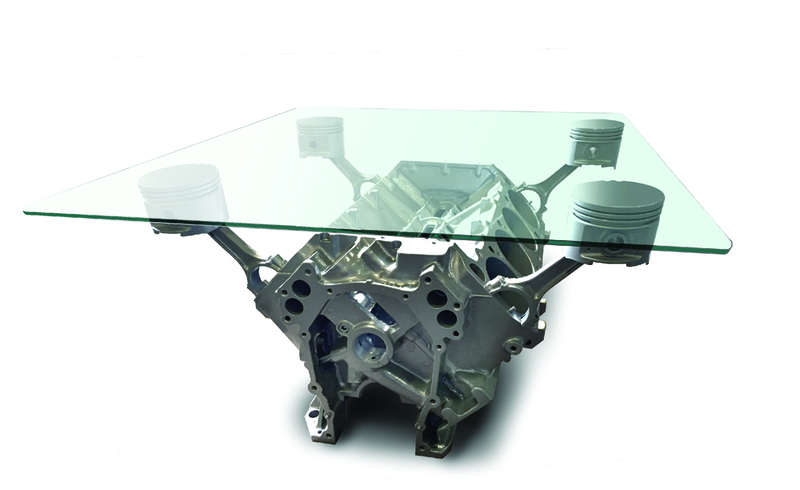 This block has been sandblasted and powdercoated with the connecting rods machined to bolt to the block so that the glass top can be placed on the pistons making for the ultimate coffee table for any Mopar guy. These tables are completed after they are ordered and have a 2-3 week lead time before they will ship.